Here is my new project with drivers mentioned in previous post. 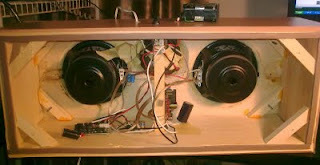 I used amp6 for woofers and t-amp for tweeters. Crossovers are passive (I didn't have time to design and build active ones). Crossover point is at around 1khz. Woofers' 7khz resonance is about 30db down, which is apparently not low enough, because at high volume sound becomes "crisp" It should be tested with higher power amp, because that sound could be caused by clipping amplifier. 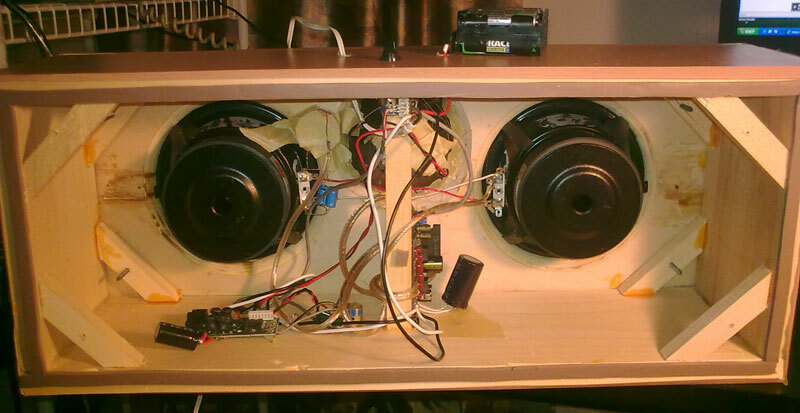 Anyway, it plays loud and sounds quite good for a boombox. For power supply I use 10 rechargeable AA batteries. 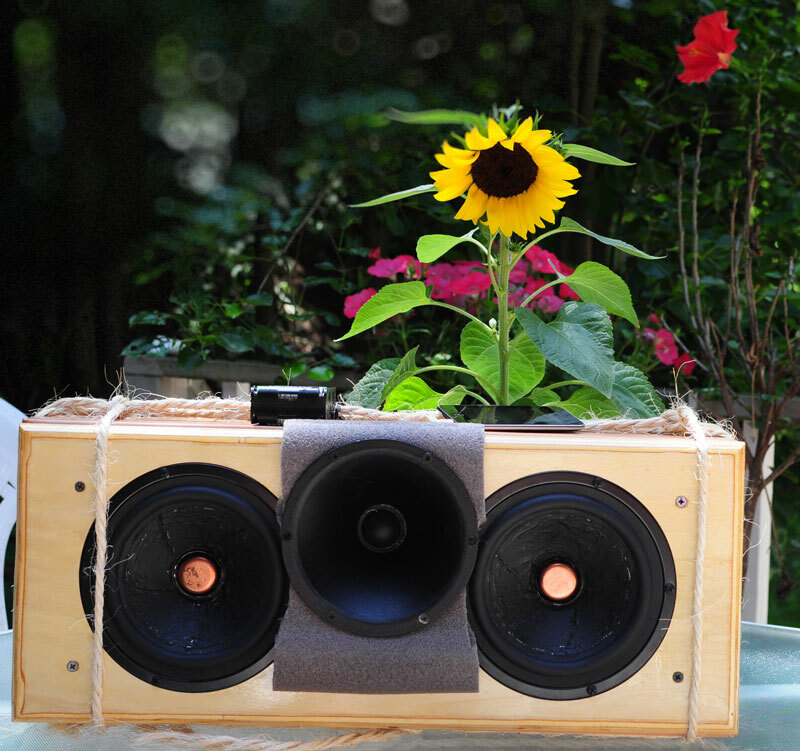 Sunflower is not part of the boombox, it's just sitting behind. I've tried to listen to this speaker through my UCD180 amplifier for a few days. And I came to conclusion that notch filter must be used with metal woofers. That spike you see around 7khz, 35db down is a big problem. It is not immediately apparent, but over time it develops into an unpleasant listening experience. If you are building speakers with metal drivers based on someone else's designs, I suggest you choose only those crossovers that use notch filters.